Today’s “find 10 differences” puzzle is brought to you by CINEMA DU MEEP! We love CINEMA DU MEEP! 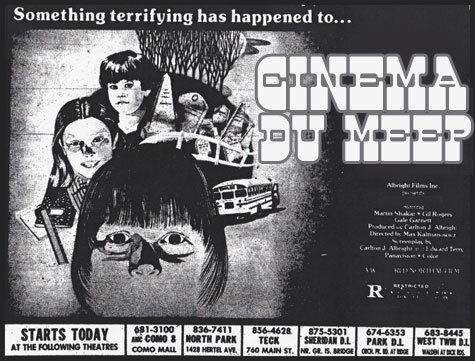 If you are not following CINEMA DU MEEP on Facebook, you need to rectify that situation HERE! That’s all I can see at the moment. This is hard! 6. 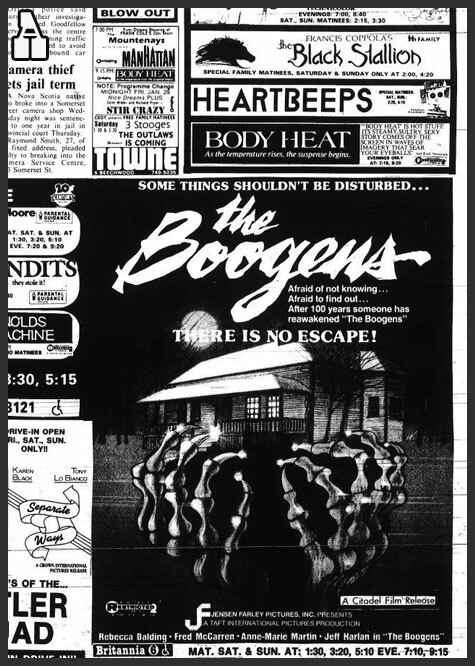 Light on in the far right window in “The Boogens” advertisement. 8. The center-most digit on the left skeletal claw in “The Boogens” ad is wonky. 9. The “s” at the end of “The Boogens” ad.